You’ve probably all heard about the recent attack on Planned Parenthood in Colorado Springs. A 57 year old man went into the place, gunning down three people and injuring nine others. We all wonder to ourselves, “How can this happen?” Well, if you watched the Republican debates, you probably saw the candidates attacking Planned Parenthood, telling crowds of people that the organization is chopping up babies and selling their body parts for money. Where they come up with this stuff, I have no idea, but media outlets like Fox News have been playing this up for months now. What better way to get their base stirred up? Abortion is an issue dear to most conservatives, and they were using this sort of rhetoric to make people believe that Hillary and Obama support an organization guilty of these atrocities. In his statement, the shooter specifically told the police, “no more baby parts.” He felt this was a holy cause and he was defending unborn babies. Local politicians have also been vocal about speaking out against abortion. In March, state Rep. Gordon Klingenschmitt (R-Colorado Springs) said that God had cursed America for its stance on abortion after a stranger stabbed a Colorado woman and ripped her baby from her womb. So ok, backward religious beliefs can cause a minority of people who really believe in their faith to act on those beliefs. It’s a real problem. I’m in complete agreement. There are a lot of backward beliefs floating around in Islamic culture which must be criticized. People who address these issues, fighting for gay rights and women’s rights are not bigots, racist, or Islamaphobes. Religion should not be immune from criticism. You know what Huffington Post, you’re a Christaphobe! Christians everywhere, it’s time to rise up and scream, “Not in my name!” How could you possibly link this atrocity to Christian dogma? Millions of Christians live peacefully everyday, and now you’re going to associate this backward stigma on them, that they’re violent and liable to terrorist like acts due to their religious beliefs? Shame on you! Where’s Ben Affleck? Ok, I’m not being serious. You’re not a Christaphobe. You should rightfully criticize backward, irrational religious beliefs. Just go a little further. Criticize Islam too. You can do it. There’s just as much stupidity in the Quran as is in the Bible. Culture is something that must be open for discussion and debate. But progressives don’t view it this way. They are motivated by cultural Marxist beliefs. They stick up for Islam because in the U.S. Muslims are a minority. There are no Christaphobes because Christians are perceived as the majority in power. There’s no need to protect them with social taboos. They stick up for people who they feel don’t have a voice. This includes transgenders, gays, blacks, or whoever else is a minority. They feel they must run to the aid of any minority and protect them from criticism. It sounds noble, but it’s a poisonous set of ideas. Whoever perceives themselves as a victim or a minority comes to believe that their ideas should be immune from criticism. Anyone who criticizes them or their ideas gets some evil word attached to them and society is supposed to shun them. Everything becomes racist, sexist, and bigoted; the words lose their meaning. Any idea, no matter who believes it, is subject to criticism. I often look into the eyes of animals and think, “This animal is conscious and alive, just like I am. It feels emotions, it has an awareness of its surroundings and where it is, and it knows hunger and pain.” This is definitely true of higher order primates, like chimpanzees. The question is, how different are we? Well, let’s take chimpanzees. Our genetic makeup is 98.9% the same. What makes up the 1.1% difference? Half of that difference has to do with our sense of smell. 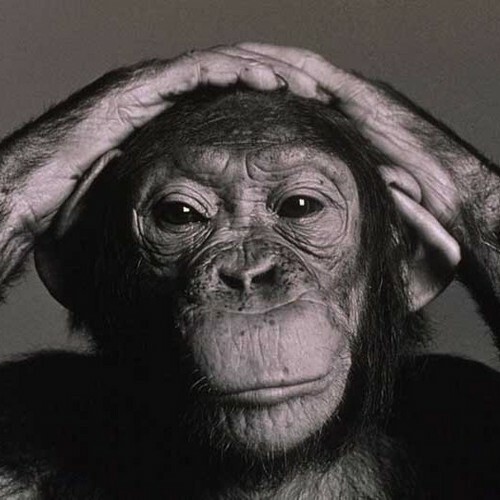 Chimpanzees can smell far better than we can. What about the rest? Well, there’s some genes which account for our difference in pelvic arch, allowing us to walk upright. There are genes for growing hair (their fur), and we find some minor differences in our immune systems. All in all, that pretty much makes up the entire difference between us. But wait. If that’s the case, why are we so much more intelligent? In short, we’re not, but the little intelligence difference we do have is based on a few genes which cause our brain cells to divide several times more during fetal development, leading us to have three times the number of neurons. That’s it. It’s probably not quite this simple, but if you flipped those few genes in a chimp, we’d have a chimp with a human brain. I’m guessing it’d be able to do calculus, compose music, and write novels. It’s something to think about. I have no idea who will win the Republican nomination, but the Democratic party seems to be split between Hillary Clinton and Bernie Sanders. I wanted to highlight some important differences between the candidates and why I think Bernie Sanders is far more principled. In the video posted below, you’ll see that Hillary changes her positions whenever it’s convenient. She was for the Iraq war , but now that we the people realized it was a fiasco, she now claims it was a mistake. She was staunchly against gay marriage, but now that gay rights is an important issue for many people, she has flip-flopped. Now she’s claiming to be a gay-rights champion and that she’s always been. She was for the Patriot Act until Edward Snowden exposed it and other programs for what they are; now she acts like she’s always been opposed to these unconstitutional programs. Hillary used to be anti-immigration, not unlike what you see in the Republican debates. Now she portrays herself as their new champion (and claims she’s always been on their side). As for the war on drugs, Hillary supported it, but now that people are fighting for marijuana’s legalization and have become aware of how many people are incarcerated for non-violent offenses, she has changed her position. Hillary licks her fingers and feels the political breeze and then says whatever she has to say to get elected. Then when she gets into office, she votes for any bill which serves the powerful interests who fund her campaigns. 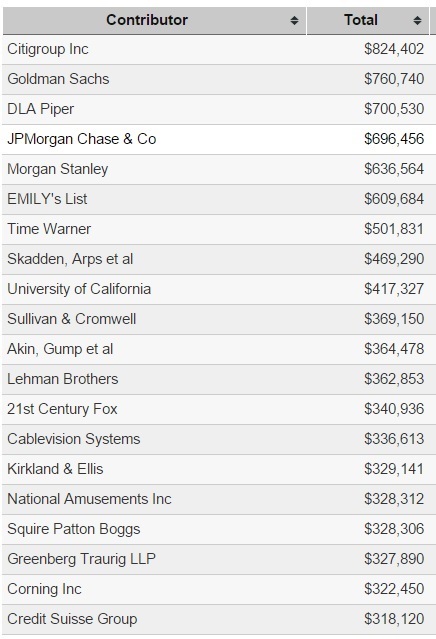 If you visit opensecrets.org, I encourage you to look at Hillary Clinton’s top donors. Who do you think she’ll represent? Bernie Sanders was always against the Iraq war. He was against the Gulf War. He was against all the wars. He was against the Patriot Act, and was (I believe) the only senator to vote against it. He’s always championed universal healthcare and fought against big financial interests. He’s always argued that a college degree is now the equivalent of a high-school diploma, and that college tuition should be paid for in full. He’s always been against the war on drugs. He’s always been a champion of gay rights, even when, in his early career, it completely ostracized him from his peers. His positions have been the same throughout his entire career. As for Bernie’s supporters, they’re all individual people who donate, on average, $33.00. He does not even have a SuperPAC. I was moved watching him deliver his speech to an empty room, warning against the wars in the middle east, how much it would cost us, and how it would destabilize the region. I like people who are consistent and principled. I don’t have to agree with them on every issue, but I like knowing who I’m voting for and what they’re about. Why do I feel Bernie is the best candidate of all of them? I know this guy will help the poor get health insurance, will help young people pay for their college, will end the wars, will focus our resources toward our failing infrastructure, end the government’s programs spying on all of us (and the world), will end the war on drugs, and most of all, he would get money out of politics. Considering he’s the only one without a SuperPAC, he seems just the man to do it.